We Started Out Building Boats Over 50 Years Ago and We re Still Building Them. Work boats... crewboats... ferry boats... fishing boats.. .supply boats... tug boats... hovercraft ... All types of boats, we'll build them if you need them. In 1938 we started building boats on the Mississippi River across from New Orleans. 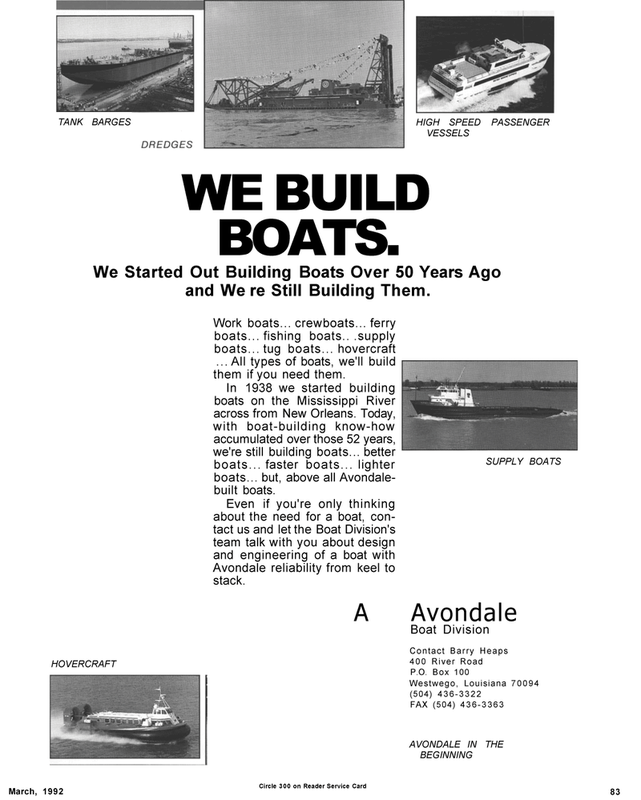 Today, with boat-building know-how accumulated over those 52 years, we're still building boats... better boats... faster boats... lighter boats... but, above all Avondale- built boats. Avondale reliability from keel to stack.